Readers: Our summer reading contest has come to a close, and I want to thank you all for entering. 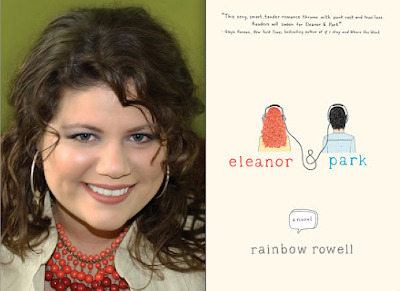 One winner, drawn at random, won an autographed copy of Rainbow Rowell’s critically acclaimed sophomore effort “Eleanor and Park.” And that winner is Linda R. of The Villages, Florida. A: I’ve gotten scores of letters asking that same question, and I finally have a definitive answer for you: On Oct. 1, fans can finally own the critically acclaimed, Dana Delany-starring hit series. For the show’s 25th anniversary, the complete series will be available in a 21-disc collector’s set in stores and online. You can also buy them one season at a time, if you prefer, but the collector’s set is way cool. Q: With Halloween approaching, it got me to wondering if Catherine Bell will be in another “Good Witch” movie on the Hallmark Channel? Those are my favorite. — Betty S., Tulsa, Okla.
A: Catherine and company will return to the Hallmark Channel on Oct. 26 with “The Good Witch’s Destiny.” In this sixth installment of the series, all Cassie Nightingale (Catherine) wants for her birthday is for her family and friends to be together. As her special day approaches, Lori discovers signs of a curse looming over Cassie. Check back in October for my exclusive interview with Catherine where I'll get all the details! A: The latest TNT drama has been renamed “Mob City” and is set to premiere Dec. 4. The show centers on the epic battle between a determined police chief and a dangerous mobster that inflames 1940s Los Angeles, and stars Jon Bernthal, Neal McDonough and Ed Burns. A: Well, it looks as if Mindy and Casey might be kaput after returning from their yearlong good-will trip to Haiti. “Justified” star Timothy Olyphant has signed on to guest star as a love interest of Mindy. Viewers will note that this isn’t Timothy’s first foray into sitcoms — he guest-starred on two episodes of “The Office” back in 2010. Head over to Hulu to get a sneak peek at the entire first episode of the season, which returns to Fox on Tuesday, Sept. 17 at 9:30/8:30c. A: Danny McBride and his glorious mullet will be back for eight new raucous episodes beginning Sept. 29 on HBO for its “epic final season.” Lindsay Lohan is set to make a cameo (as who, I won’t say, so as not to spoil it for you).